Mixcloud Co-founder Sketchy (aka Nikhil Shah) put together this exclusive mix for Laid Back in celebration of his new label project. ManMakeMusic started off 4 years ago as a series of eponymous East London warehouse parties, showcasing the best of low-end electronic music. The team recently made the transition to label, with their first release earlier this year from fellow label-mate and burgeoning producer George FitzGerald. 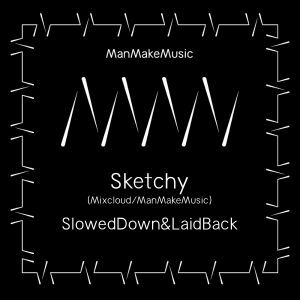 Sketchy&apos;s mix is an original journey through deep, synth laden slow house and electronica to disco, classic house and US garage. It features forthcoming ManMakeMusic release from Jack Dixon & Rick Grant - the wonderful slow-mo interpretation of "Running Man" from the talented Kevin McPhee. The mix also features German producer Call Super&apos;s re-interpretation of classic garage track Gabrielle - a nod to fellow London label and good friends Five Easy Pieces. This is wonderful website having amazing music collection. So music lovers must like this website due to its uniquess and amazing content. I really happy to get this one because some important factors are the key points of the success of this site. However, I want some reviews of http://college-paper-writing-service.reviews/college-paper-org-reviews/ which help me to set the my point of view regarding this site. NOM NOM NOM.. tasty! Thanks!